No high qualifications are required for franchise. 25% to 45% profit margin. Vast range of educational products. Products ranging from 10/- to 2.7 lakhs. Franchise agreement for 5 yrs. No need to have an expensive office. Providing services on web & app (android app) both. Catering students from 1st class to PG level. 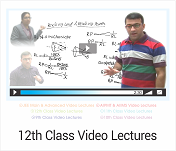 Study content covers Videos, Online- Tests, Study Packages, Questions- Banks, Sample papers, Solved papers, notes, NCERT solutions & extracts, Current-affairs etc. Updating web & app regularly. Providing services in abroad also. More than 5 lakhs students get benefit from us. One of the unique product in India. Provide study material for competitive exams like Govt. exams, Railways, Banking, UPSC, SSC, CLAT, JEE, NEET, NTSE etc . Can download study package from our website studyadda.com . 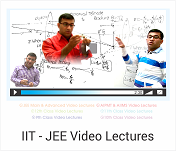 Provide video CDs for 9th to 12th, JEE & NEET. Also provide test series with regular updates.